Recovers up to 2GB of data for free. Recovers deleted, formatted or inaccessible data. Recovers files from deleted, formatted, hidden or lost partitions. Recovers files from PC, laptops, servers, digital devices or storage media. Free Mac file recovery software can help users to recover lost/deleted files from Mac-based hard drives, external hard drives, digital cameras, MP3/MP4 players, and other devices. With the intuitive interface and the 3-step process “Scan – Preview – Recovery”, it easily retrieves photos, videos, music and other files lost by accidental deleting, formatting, virus infection, or improper operation. 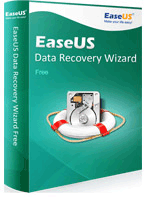 EaseUS Data Recovery Free for Mac allows users to freely recover 2GB of data. SoftPerfect File Recovery is a free and useful tool for restoring files and rescuing data that was accidentally deleted from hard disks, floppy disks, USB flash drives, CF and SD cards and other storage media. It supports the popular file systems such as FAT12, FAT16, FAT32, NTFS and NTFS5 with compression and encryption. If some important files disappeared and you can’t find them in the recycle bin, don’t panic yet. Try SoftPerfect File Recovery software and see if you can bring the lost files back to life. It is very easy to use, and no installation is required. Works with FAT and NTFS. Supports compressed and encrypted volumes. Runs on anything from Windows XP through Windows 10. Portable software, no installation required.